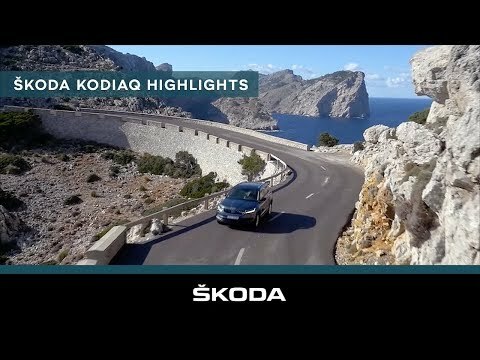 As ŠKODA’s first car to offer seven seats, the new ŠKODA KODIAQ has unparalleled 2,065 litres of storage space when the rear seats are folded down. With cutting-edge technology, evident throughout and distinguished off-road characteristics, the all-new KODIAQ is an SUV designed to fit your lifestyle. *At the end of the agreement there are three options: i) pay the optional final payment and own the vehicle; ii) return the vehicle: subject to excess mileage and fair wear and tear, charges may apply; or iii) replace: part exchange the vehicle. ﻿With Solutions Personal Contract Plan. 18s+. Subject to availability & status. T&Cs apply. Ordered by 01/07/2019 from participating retailers. Excludes SE Technology. Indemnities may be required. ^Service plan covers first 2 consecutive services limited to 1x Oil and 1x Oil & Inspection service. Not available in conjunction with any other offer and may be withdrawn at any time. Accurate at 04/2019. Freepost ŠKODA Financial Services.